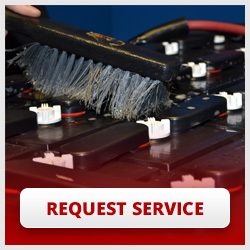 Forklift Batteries, Service & Repairs | Beal Industrial Products, Inc.
Beal Industrial is a full-service battery and charger company, and we offer a multitude of a la carte services to go along with our products. Since 1999, we’ve focused on electric forklift equipment rebuild and repair, specializing in Crown Electric equipment, with several maintenance vehicles on-site convenient and thorough service, or pick-up and delivery for large shop repairs. We also maintain a staff of factory-trained forklift technicians with over 85 collective years of experience. Beal Industrial is pleased to deliver forklift parts at competitive pricing, with next-day delivery on items not found in stock (subject to availability and freight charges). 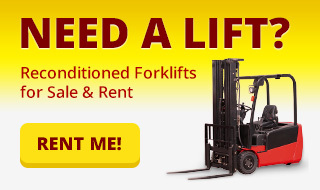 For your convenience, we also offer forklift parts consignment for your resident mechanics. A favorite due to expediency, we now provide opportunity charging evaluations. With easy access to our mount, pull up during your next lunch or coffee break and plug into a battery charger that charges at a high rate to replace lost amperage. We offer comprehensive fleet planned maintenance, provided every 30, 60, or 90 days, based on 200-hour intervals. Our fleet full maintenance contracts include, for a set price each month, coverage of all repairs (except that caused by abuse), as well as tires as per your contract. Additionally, mobile tire press service, featuring Maine Tire Products, is available for our customers’ solid tire needs. Want an enhanced understanding of your batteries? Beal Industrial comes to you to analyze your battery or batteries, making a complete report of their conditions. What’s included is taking voltage and spot gravity readings, and putting these details into a comprehensive report with your make, mode, serial number, age of battery, and visual inspection notes. This better enables us to make a recommendation on whether or not to visit our shop for further evaluation and to potentially have an internal evaluation. We also may recommend coming in for a thorough cleaning and load testing—a full-proof way to determine your battery’s length of life. Beal Industrial is your go-to for preventative maintenance, which we offer to customers once or twice a year, on location, to take voltage and spot gravity readings, providing a report similar to our battery survey. We are proud to be the only company that can offer this type of preventative maintenance.